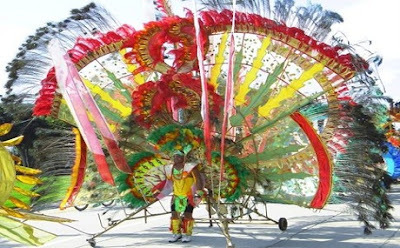 is a non-stop street party, ablaze with color, music, movement and pageantry! When people think of the word "Caribbean," a number of images come to mind: tropical scenes with palm trees and calm, blue waters being perhaps the most notable. But when it comes to the evening time with dinner and dancing however, nothing invokes images of the Caribbean more than Calypso music. 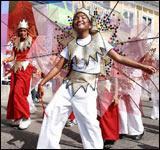 at Carnival time in Trinidad. Certainly, the name Calypso could hardly be associated more with any location in the world than with the Caribbean. The name for Calypso music has been updated and has changed in recent years. Now termed Soca, it is said that the new name came about when a dose of 'So' from Soul was infused with the 'Ca' in Calypso to become Soca! While the original label continues to be used to describe the early recordings of Harry Belefonte and others of the period, Caribbean communities worldwide currently refer to the music now only as Soca. Soca music is dance music! 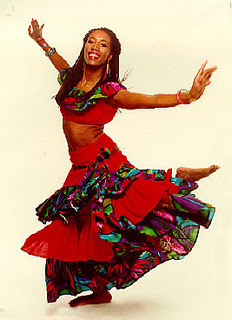 It is also music that anyone can enjoy dancing to, regardless of their previous dance experience. Standing in one spot and moving to the rhythm is all that it takes... just swaying in whatever way the beat moves you. Moving to the beat is, indeed, perhaps the most natural response to hearing this music. The rhythm and beat seem as basic as one's heartbeat and finds literally everyone in the room 'tapping their toes'. 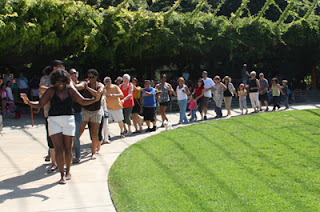 What is frequently seen, as well, is a Conga Line taking off when people hear the sweet, Soca / Calypso rhythms. "It's in the air - Celebration time; Music's sweet - Captivate your mind," are lyrics to the song Hot Hot Hot. The Conga Line is yet another invention attributed to the Caribbean, created, essentially, as a compliment to this music's beat and is, again, so basic that anyone can follow. Just grabbing on to the waist of the person in front of you and, either just walking along to the rhythm or joining in on the alternating 'kick and step', can create a dance line that includes virtually everyone in attendance. 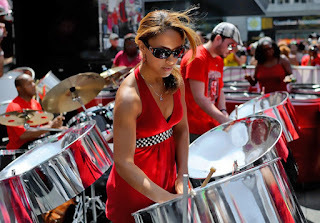 Once audiences hear the infectious Calypso / Soca beat, it is hard to quit! Take a moment to tell me about your observations or any particular comment you may have on Calypso - A Caribbean Original. 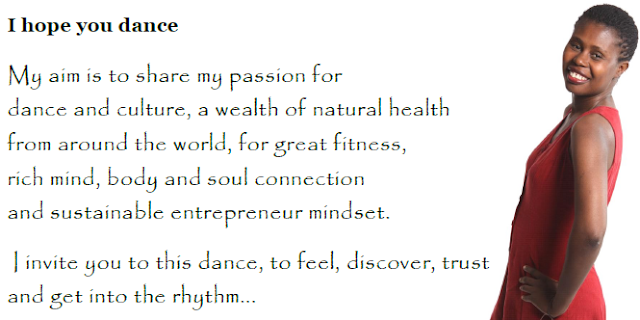 To find out how some "Irie" Soca music can help bring your event to life, Visit IRIE TIME! Listen to IRIE TIME! VIEW: In each text, capture the vital and creative mindset that best convey Soul Dance for your delight.